I went to Coney Island by myself! Usually I love having a whole sim to myself, but I think this sim is haunted. It was creepy being alone, wish you guys were here! My look today was more Wintery, but I changed my shoes at the last-minute, so it has more of an Autumn vibe. 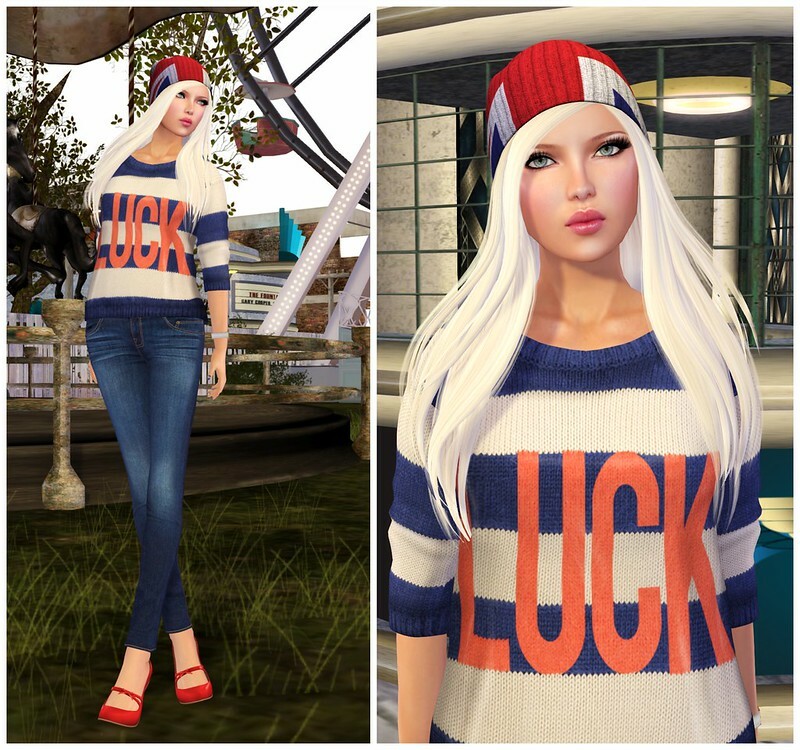 I love this LUCK sweater from Emery, it does look cozy! Hello, that is such a good look for Atumn, love the stripes. I am new to your blogs and look forward to your contributions. The beanie is attached to the hair, and includes a texture-change HUD. Love this casual look, you do ”stunning” well but you’re great because you pull off casual looks as well! Perhaps 🙂 It’s a new WIP of Sora — already released in a makeup I think!